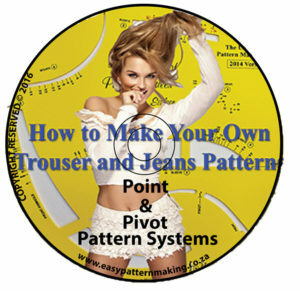 This DVD demonstrates, in lesson form, how YOU can make the perfect fitting trouser patterns in your own individual size. This DVD contains step-by-step instructions in detail. It is sold separately, and contains lesson on how to draw the trouser pattern exactly to size required, how to place darts at the waist to suit your waistline, no matter what size or shape you are. Included is how to make the trousers pattern to deal with a large tummy. This additional DVD, sold separately, and with the General Pattern Ruler, you will be able to achieve trousers and jeans to fit comfortable, and look great. Whether you prefer hipsters or slacks that fit into the waist.